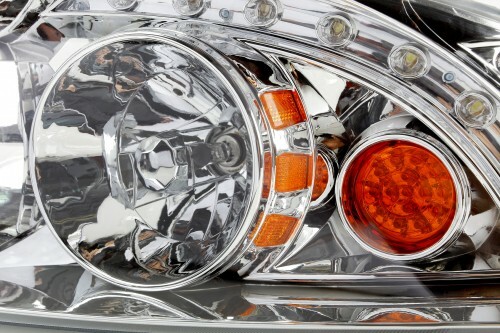 We offer a full range of automotive lighting parts & services to meet your vehicle lighting needs. With over 700 sku’s in stock we’re confident we’ll have replacement parts you need and you’ll be satisfied with the expert installation our automotive technicians provide. Vehicle Lighting is an essential safety feature in all vehicles, and can make the difference between being in or avoiding an accident. Widely recognized in the industry as the premium brand for aftermarket lamp replacements, TYC/Genera automotive lighting products are unequaled in quality and value. Our precision design and exacting quality control standards create products that meet SAE/DOT standards, and are FMVSS-108 compliant. Stop in to one of our three locations in Midland, Mt. Pleasant, or Saginaw and talk to one of our expert technicians about vehicle lighting options for your auto.